A very much hotly debated topic in the legal profession at present is that of Legal Aid. 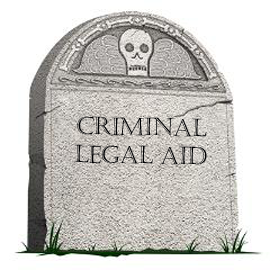 The government have already made cuts to legal aid in civil cases which came in to effect on 1st April 2013. They are now proposing further cuts to legal aid which will effect additional areas of law outside the civil scope; mainly criminal law. The proposed changes to criminal legal aid would effectively mean the end of people being able to choose their own defence solicitor. The amount of accredited legal aid practitioners would drastically fall. It is rumoured that large contracts would be offered to the cheapest bidders; firms like G4S. The same firm that acquired the London Olympics security contract, for the lowest price, completely failed and ended up costing the tax payer millions. One step forward, two steps back. “The Government is creating a system where potentially the same company could defend you, lock you up in prison and then rehabilitate you when you come out,” said one judicial source. A prominent concern is the fact that firms which will win the contracts for legal aid will obviously be the cheapest bidders therefore having a direct effect upon suspected criminals and their access to justice. The doctrine of Ei incumbit probatio qui dicit, non qui negat (the burden of proof lies with who declares, not who denies), is the principle that one is considered innocent until proven guilty. This doctrine will become further erroded as the contract winners will be under pressure to make profit on something for which they will have priced themselves very cheaply. This will result in these firms not wanting to take matters to trial, in order to reduce cost and therefore more often than not advising people to plead guilty to accept a lower sentence; keeping costs to a minimum for them. The basic premise of the Justice system of this country is that of a right to a fair trial. This involves a number of factors; being able to choose your solicitor, the availability of free, independent advice, and a solicitor prepared to fight your case, no matter how impossible it looks. If these proposed changes are to take place then all of those things will become history. Some individuals are of the opinion that it does not matter; they will not need legal aid because they can afford to pay for a solicitor. The government needs to reduce its spending, so why not do so with legal aid, just as it has done with most other areas of government spending (except healthcare, education and money pledged to developing countries). Indeed this may be true to some, however it is still going to vastly reduce choice. Hundreds of high street firms which specialise in criminal law will go out of business and be forced to ‘shut up shop.’ If these changes take place the leaders in the field will be ran by firms such as Tesco and G4S. Yes, even Tesco has expressed an interest in bidding for these legal aid contracts. Tesco could be coming to a high street near you as your local criminal defence solicitors. Can this ever been seen as desirable? What’s the good news? The good news is that the proposals are still under consultation and they can be stopped. Solicitors in Wales have already vowed to strike, totally opposing the reforms. Solicitors in England will do the same. The whole profession appears united but it still needs all of the help it can get. The Government look set to push the proposals through without giving a thought to what the profession and the electorate actually want. If you’re reading this thinking, “what can I do to stop the government driving a bulldozer through the best legal system in the world?” Well here is your answer http://epetitions.direct.gov.uk/petitions/48628. Sign the petition, tell everyone you know to sign the petition, and tell them to tell everyone they know to sign the petition. With already nearly 25,000 signatures the petition is gaining momentum and with enough force it cannot be simply ignored. Have your say, make your voice heard, and opinion counted. Wright O, The Independent, 28/04/2013. Giannangeli M, Daily Express 21/04/2013.